With over 5 million invitation requests, it is safe to say that OnePlus was able to get people to buy into the #HYPE of the recently-released-yet-difficult-to-buy OnePlus 2. The excitement was hampered somewhat by yet another stalled deployment of invitations and shipments of finished devices, with deliveries to the US delayed by a few weeks at the onset. However, that has apparently not quelled the desirability of the OnePlus 2. In order to maintain whatever momentum it has to fulfill the reservation list, OnePlus will stop receiving new invitation requests beginning on October 22nd. With that suspension, everyone’s place in line will become static, as link-sharing will no longer give you a bump closer to the top of the list. Folks that have already purchased a OnePlus 2 through the company’s website will soon receive sharable invitations as well. 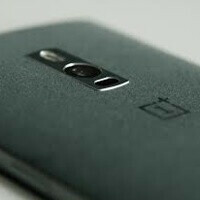 OnePlus also plans to continue with occasional contests for invitations. With all that in mind, it looks like the manufacturing process is ramping up, and hopefully that means people waiting for an invitation (through the forums, etc) will not have to wait much longer, and people that simply signed up on the reservation list will finally be on some type of track to receive an invitation. A single reservation doesn't necessary mean a purchase, I've got tons of friends with an expired invite (invite not used to buy the OnePlus Two). I got an invite and the damn thing expired early. Email said I had 24 hours to claim it, but they sent it at some ridiculous time and it was about 16 hours from send before I saw it, it was already expired.